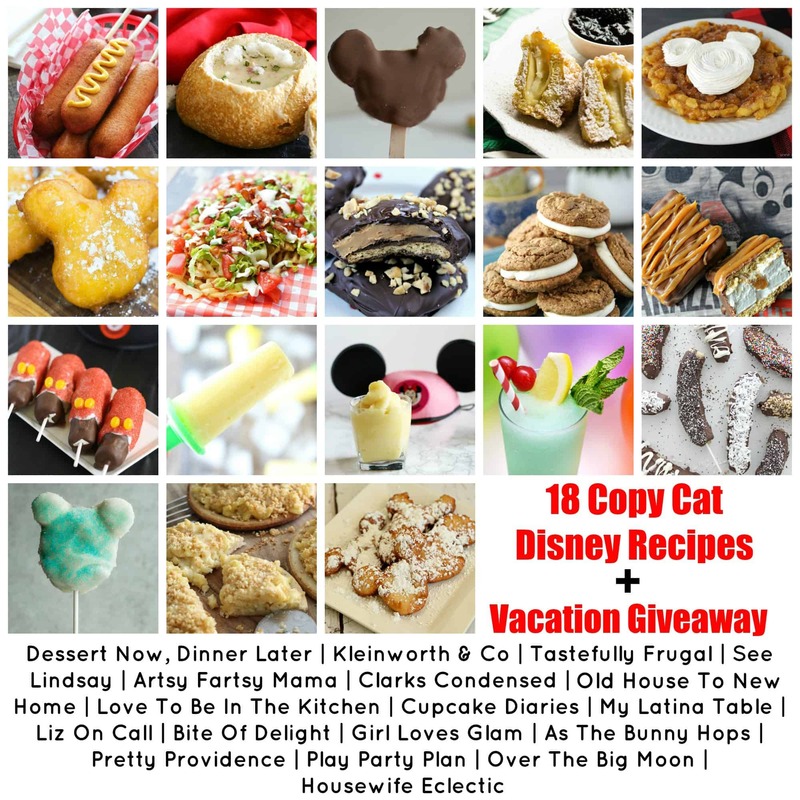 Make the popular Mickey Mouse Ice Cream Treats from Disneyland with a special ingredient PLUS enter to win a Disneyland Vacation! Some of my favorite memories from Disneyland as a kid were meeting characters, riding the teacups, and eating all the fun Mickey Mouse shaped treats. I don’t know if it was because the ice cream bars looked like Mickey Mouse or maybe Disney uses a special kind of chocolate but those bars are seriously the best treat ever! We don’t make it to Disneyland as often as I would like so I decided to try to make these tasty ice cream bars at home. AND so you can see how good the real deal is I’ve teamed up with Get Away Today to give one of you a Southern California Vacation! Details will be at the end of the post. But first let’s talk about these ice cream bars. Not only are these fun to eat, but they are fun to make too. And it’s something the kids can help with. After several failed attempts I learned a few things about making chocolate covered ice cream treats. So to save you the headache of upset kids not getting their treats let me tell you what I learned. First, use an ice cream that freezes hard. The first two times I tried to make these my ice cream melted quickly and I was left with a puddle of milk where my popsicle should have been. I found Blue Bunny was the best to work with. Second, you want to let your chocolate cool for a few minutes before pouring them over the ice cream. I also used coconut oil to thin out the chocolate so that it was more runny and so that the chocolate would solidify quicker. I used about 1/2 tbsp of coconut oil for every 1/2 cup of chocolate and it worked perfectly. You can make as many as 10 bars from one tub of ice cream. 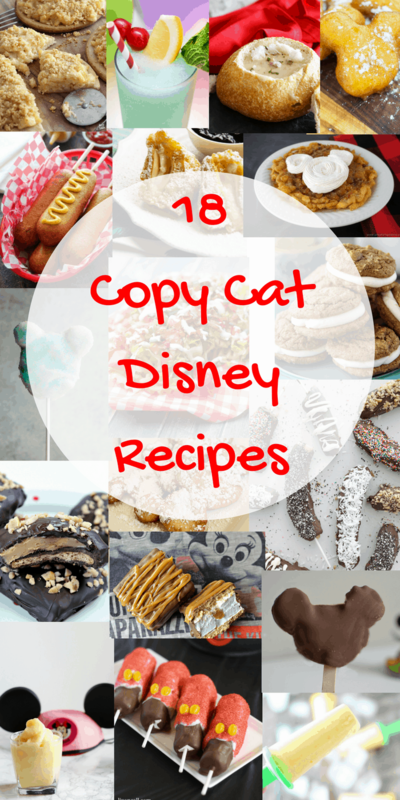 But make sure to put your Mickey shaped bars in the freezer right after you take them off your cookie cutter, before you make another, so they don’t melt. Spread ice cream into a 1-2" tall dish (I used a pie pan). 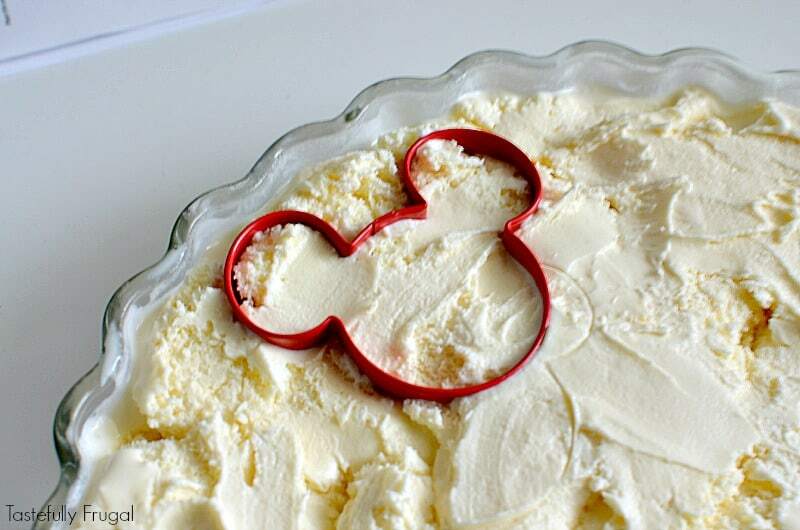 Cut out Mickey head shaped ice cream bars with cookie cutter. 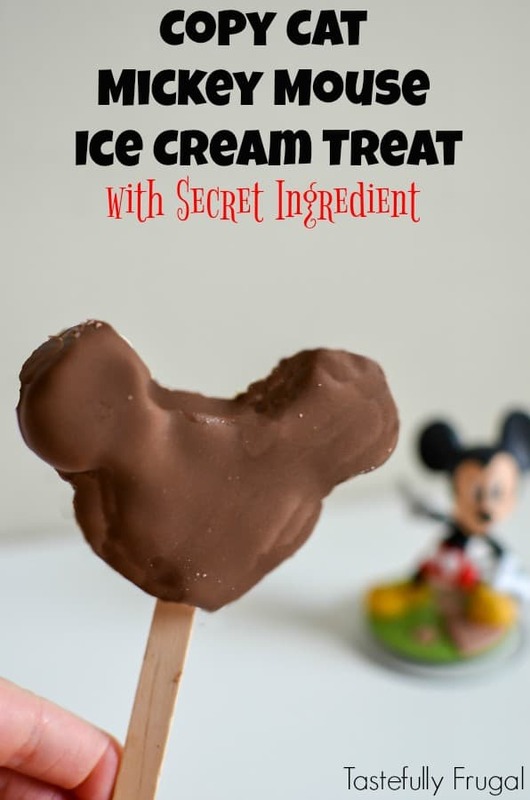 Place popsicle stick into bottom of mickey shaped ice cream. Cover cookie sheet with parchment paper and place ice cream treats on paper. Melt chocolate in microwave in 30 second increments, stirring in between. Continue until chocolate is completely melted. Stir in coconut oil to make chocolate runny. Remove ice cream bars from freezer and pour chocolate over them. Put chocolate covered bars back in the freezer for 1 hour. So cute Sydney! And so much easier than I would have thought! My favorite\when at Disney is a dole whip. So refreshing! So excited to try some of these! My kids would love these!! And a good excuse for me to eat icecream and chocolate…because you know, it was a bonding activity with the kids…. My favorite Disney treat? Wow that’s hard to choose just one! I love the premium mickey ice cream bars because there is nothing like them. I also love the dole whips. But also from my time working there I learned the best time to get the cotton candy was when it was fresh and warm! Spending 9 months there you really learn to love the treats ha ha. I love the cream cheese pretzel! These look so good! I’ve always wanted to try Dole Whip but I’ve never been to Disney. Oh my these r yummy gonna make them today. Ooo what a dream trevlyn would have a blast. What a fun recipe to make! My boys would LOVE this! These look so good! I definitely need to try them!! Cute idea! My kids would love to make these. Churros are my favorite followed closely by the always delicious dole whip! I’ve never been to Disneyland so I can’t really say. But I’ve always wanted to try the Dole whip! These look so yummy! These and the Dole Whip Pineapple are my favorite treats at Disneyland! I’d love to win!! ? I love these Mickey ice cream popsicles! Thanks for the recipe. This looks so delicious! I made a copycat chili cone and it was so fun! Next time you do one of these I would love to join you talented ladies I love linking up with other boss women! Our favorite family treat are the pickles! My favorite Disneyland treat is Dole Whip! I’ve never tried any treats at Disneyland, we have always been too cheap to buy them!! But now I have a list of all the best ones so next time I go I can be sure to try some good ones. I have never been to Disney but I heard that they have some amazing chocolate covered pineapple that is to die for! So hopefully I get the chance to go. I die for Disneyland Churros! They’re my favorite! ? I havent been to disneyland since i was a child. I have been to disney world recently and we had the chance to go to a wishes dessert party. The brownie cheesecake cups they had would have to be my favorite! I love the Dole Whip! And I heard they have Dole Whip flavored cotton candy now so can’t wait to try that! I love the churros and Dole Whip! I don’t think I’ve ever had one of these, but I’m going to have to make them with my kids at home! Definitely easy, and infinitely cheaper than the real thing!! Thanks!! I can’t wait to try these! They are one of my favorite treats at Disneyland. I can’t go to Disneyland without getting a churro (or 2). my favorite Disneyland treat is their churros!!! I haven’t been since I was a kid. Can’t remember my favorite treat. Definitely churros, for sure and great blog, great contest. It would be great to get back to SOCAL as there’s a special someone I haven’t seen in awhile that would love some time at Disney! My son loves the candy of course at Disneyland. For me I love there cotton candy different flavored or there mickey mouse shaped chocolate chip cookie. YUM! Truthfully I always loved the mickey mouse ice cream for myself, also the frozen lemonade, we always shared those as a family. Hard to pick just one treat but I love the beignets!! Ice cream from the Ghiradelli Soda Fountain in California Adventure! This is definitely intriguing! Might have to try out these and a lot of the other one’s. my wife and I went to Disneyland on our honeymoon and wanted to just splurge on all the treats but just couldn’t afford any. Thank you! I want to go to DISNEY !!! 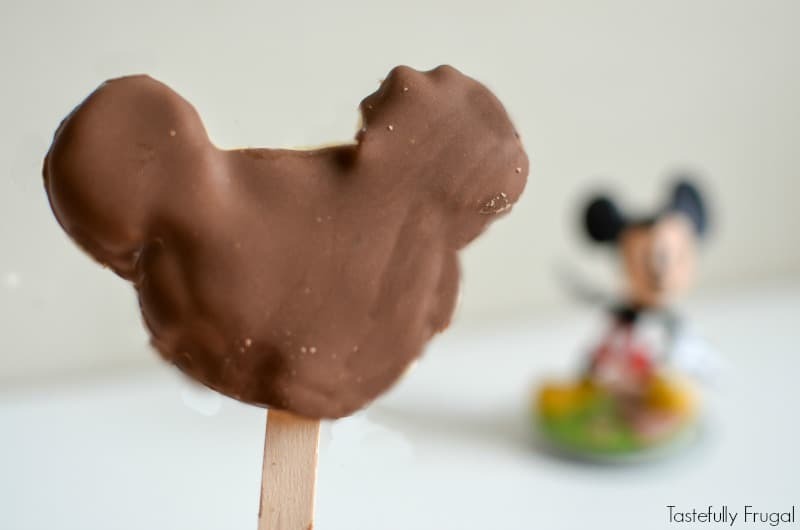 I love the Mickey Ears chocolate-covered ice cream treat! Dole Whips are the only treat I think I’ve ever tried at Disneyland! My favorite is Dole Whip! My favorite Disneyland treat are the chocolate covered bananas!!! I accidentally submitted the entry for making a comment before I read the instructions of what to comment. And I can’t see the other comments. This would be a beach trip if S lifetime. Thanks so much for this opportunity. My favorite treat would have to be the dole whip, although they are all very tasty!!! I love the Mickey Mouse Ice Cream Treats! I would love to win!! No one in my family has ever been!!! Can’t wait to try these!! Too hard to choose one! I love their corndogs, potato cheese soup at Ca Adventure & churros. My favorite Disneyland treat is the Dole Whips ! Hmmmm. Now I want to eat everything you find at Disneyland! Lol. This is a perfect way to feel like I’m there when I’m not really there. I love the Mickey pretzels and the turkey legs! My favorite Disneyland treat is the Dole Whip. I’m addicted to it and love that it’s a delicious vegan treat! That looks so yummy! I will definitely try it!